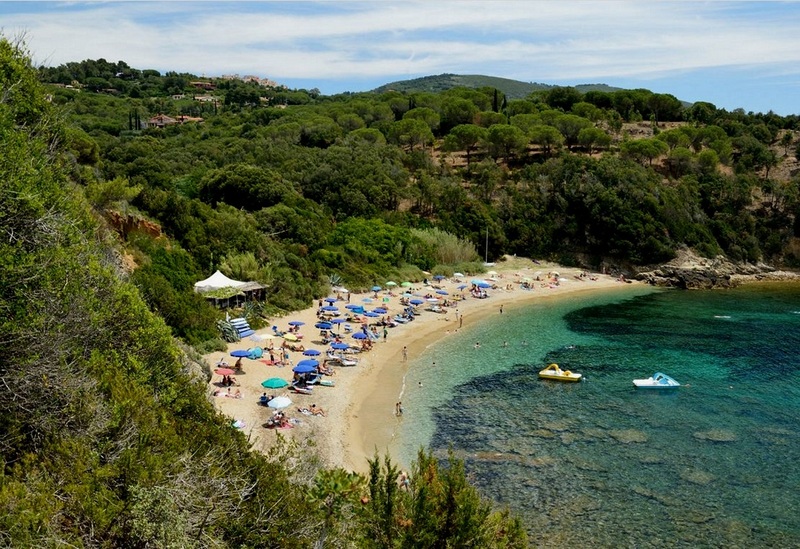 This magnificent bay set in the Mediterranean scrub is only 5 minutes drive from our residence. Easily accessible by both car and bus, it is undoubtedly one of the most visited beaches on the south side of the island: the flat, tarmacked road and the available parking spots near the beach provide easy access for all. 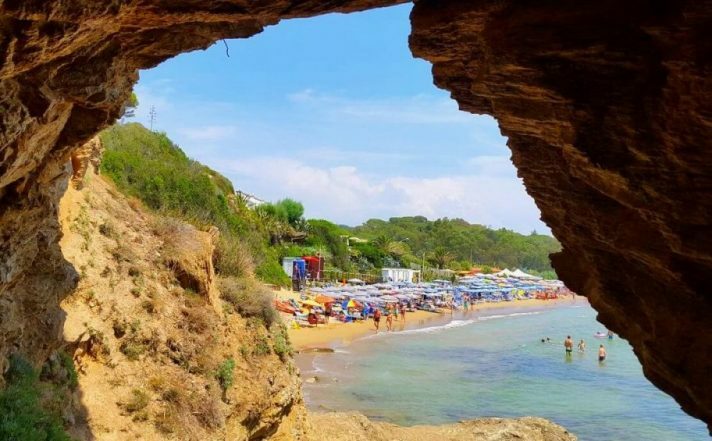 Besides, the transparent water, the fine golden sand, the very gently sloping seabed and the many services offered (restaurants, bars, loungers, ombrellas and showers) are ideal for families with children, for the young and for older people. Even sports lovers appreciate the beach of Lido di Capoliveri to play volleyball or to practice windsurfing or to go sailing. 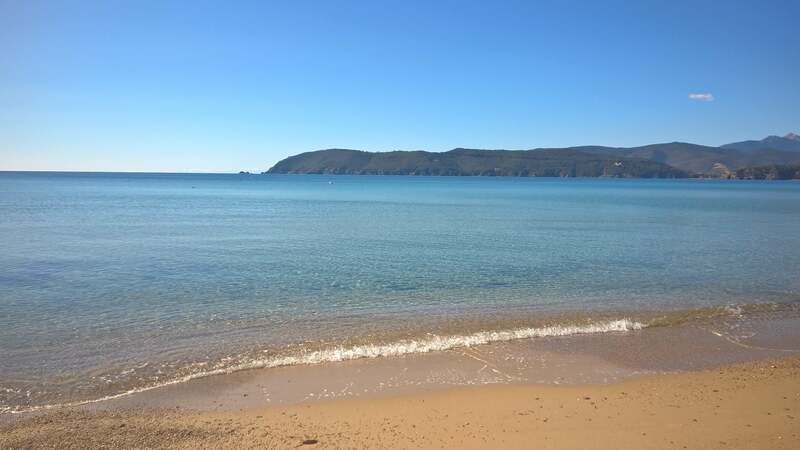 The beach is both public and equipped and is very suitable for pleasant walks: a good 500 meters of beach, which turns at sunset into a picture with a thousand shades of pink and orange. If your holiday is in high season, we recommend that you settle down on the left side of the beach, which is usually less crowded. Are you adventurous? Then you need to know that there is a tunnel on the right side of the cliff. If you go through this, you will encounter the position of a World War II gun battery. It is not the only passage and you will be amazed at how many others you will find on the rocky coast around the whole beach. 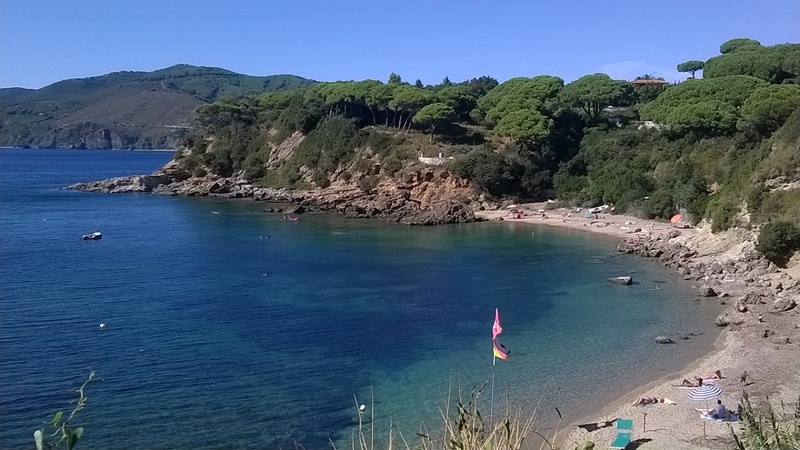 The beach of Zuccale in Capoliveri is only 4 kms away from Residence Sud Est. A long staircase leads down to the beach, which is therefore not particularly suitable for people with disabilities, but the beach is so beautiful that you quickly forget the effort. Behind you the bright green of the Mediterranean scrub and before you the blue of the sea that seems to blur with the blue of the sky: these will be the first things you will notice, along with the magnificent view of Capo Stella and Monte Capanne. 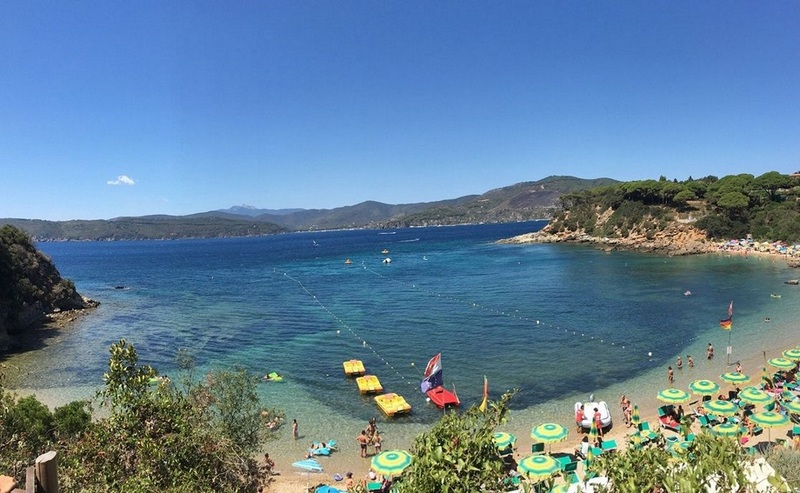 Until a few years ago Zuccale was one of the “wild” beaches of the island of Elba; today the beach is partially equipped, with a small bar where you can enjoy a snack, quench your thirst with fresh drinks and buy ice cream for every taste. 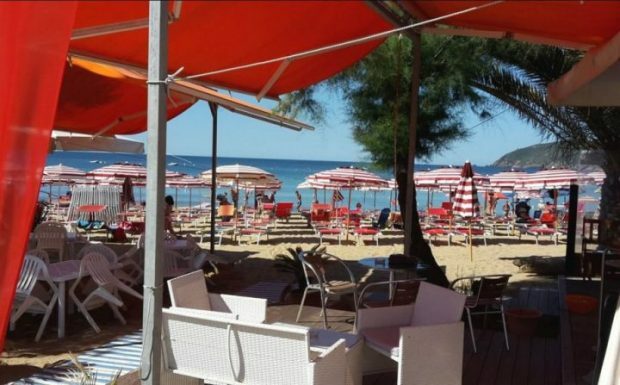 The same bar also offers, for rental, beach umbrellas and sun loungers, canoes, paddle boats and small boats, in short, everything you need for a relaxing day by the sea. The sand is golden and quite coarse-grained: on the right side of the bay, the water is shallow and suitable for the smallest children to play; on the left side, however, the water gets deep after a few steps, and the seabed is rich in marine life and therefore appreciated by snorkel enthusiasts. 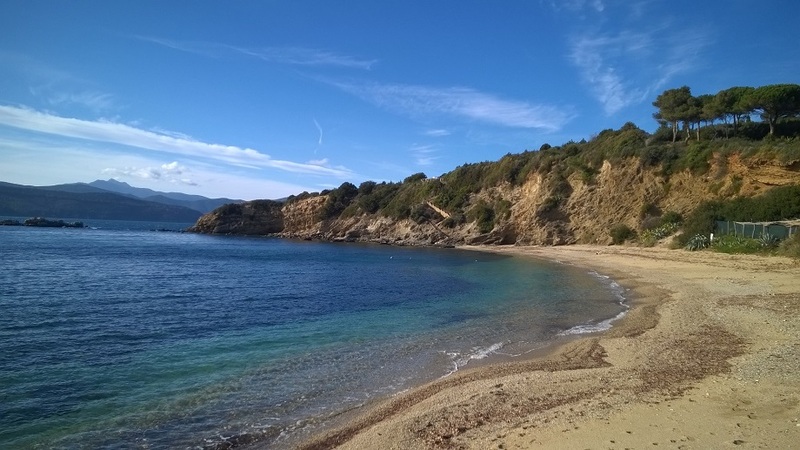 Once you know this beach, you will not forget it easily and will come back before the end of your holiday on the Island of Elba. 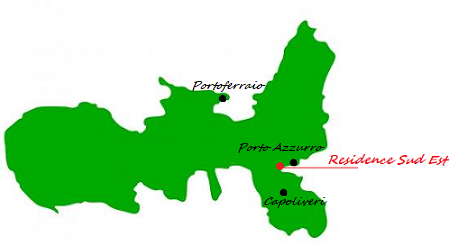 Barabarca beach in Capoliveri is 4 kms away from the Residence Sud Est. Again, like for reaching the nearby Zuccale beach, a staircase leads down. After a few steps you stop spontaneously to admire this beautiful beach! Marvellous, unique and full of legends: in antiquity Capoliveri was know as the “witch village” and it was said that the terrible witches gathered here on this beach. Mysteries apart, this remains one of the most beautiful coves of the Gulf Stella: the green of the agave and saltbush, the crystal clear water and rich seabed make it an unmissable destination for those who appreciate the simplicity and beauty of nature. Paying attention, because after a few meters the sea gets deep, the beach is made of golden sand (with some small pebbles) and is therefore suitable for children. Among the offered services are a small bar and the rental of sun loungers and umbrellas.